No need to rush your Sunday mornings - you can now enjoy brunch as you worship! 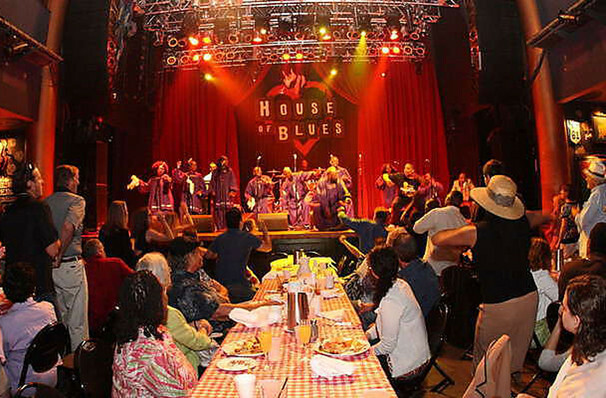 Head down to the House Of Blues on selected Sunday mornings for a celebration of the Lord with a gospel concert as well as a delicious brunch served up for the whole family to enjoy! Offering a wide selection of Southern and Creole-inspired food in buffet style, get together with other worshippers as you eat together family-style and experience a joyful music-filled concert, with special guests hailing from near and afar. Sing your heart out, dance and bring the whole family. Make your Sunday worship a family experience with a delicious difference! Brunch lasts approximately 90 minutes, closing with a 45-minute live gospel show. Seen Gospel Brunch? Loved it? Hated it? Help your fellow Dallas Theater visitors by leaving the first review! Sound good to you? 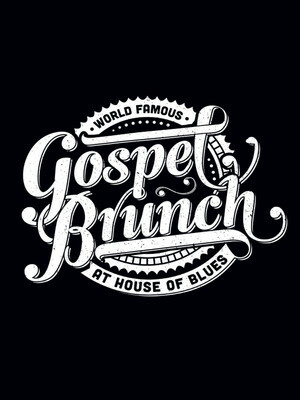 Share this page on social media and let your friends know about Gospel Brunch at House of Blues. Please note: The term House of Blues and/or Gospel Brunch as well as all associated graphics, logos, and/or other trademarks, tradenames or copyrights are the property of the House of Blues and/or Gospel Brunch and are used herein for factual descriptive purposes only. We are in no way associated with or authorized by the House of Blues and/or Gospel Brunch and neither that entity nor any of its affiliates have licensed or endorsed us to sell tickets, goods and or services in conjunction with their events.